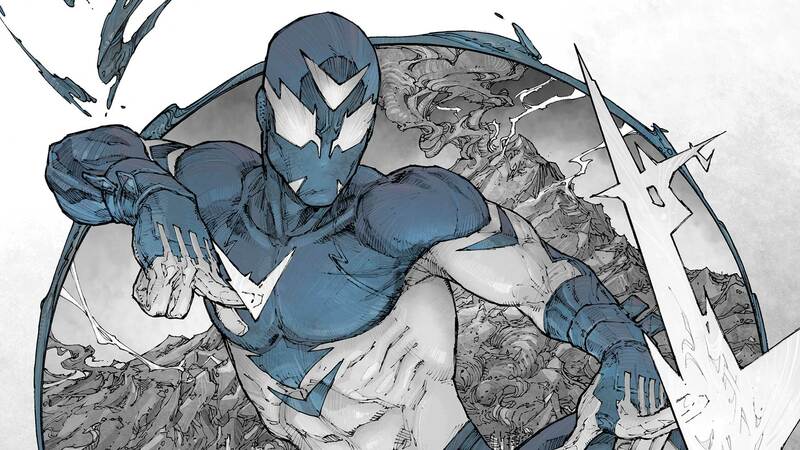 Everything’s going sideways for Sideways in the pages of Sideways—and that means trouble for our titular hero. Trapped in the Dark Multiverse with no escape, Derek James comes face to face with this world’s ruler, Perrus. A so-called benevolent dictator, Perrus rules his world with an iron fist and forces its citizens into slavery, so Sideways decides it’s time for a revolt. The revolution proves unsuccessful, but it leads Sideways to a “super” discovery that could save this world and himself.